- slightly improved copying of the script text to the clipboard (text written in capital letters in the program will now be copied and pasted into other editors also in the form of capital letters). 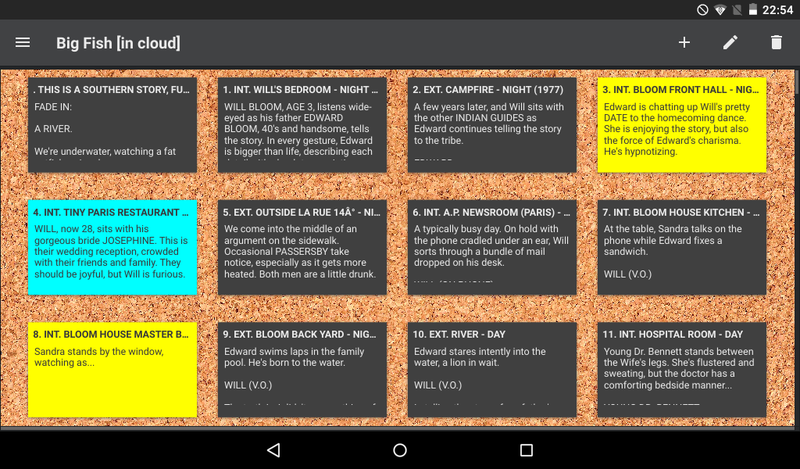 Yesterday we launched a fundraising campaign for the release of the KIT Scenarist version 0.8.0! And I invite everyone to take part in it! You definitely cannot miss it, because version 0.8.0 will only be available to crowdfunding participants at first 100 days after release! - and of course, itself it will be all the same good old KIT Scenarist, reborn and ready to help on your creative journey! Crowdfunding participants will be able to be the first to experience the new version, but also they will get cool stickers with Alexander the cat! P.S. Friends, please help spread the word about the campaign! I will be very grateful to you for reposting, for telling friends. If you have the opportunity to place information about it in the media - this will be just invaluable support for our common cause!